Musical Futures and Trinity College London are looking for 5 schools in the UK to take part in a small in-school pilot in the Spring term of 2017. 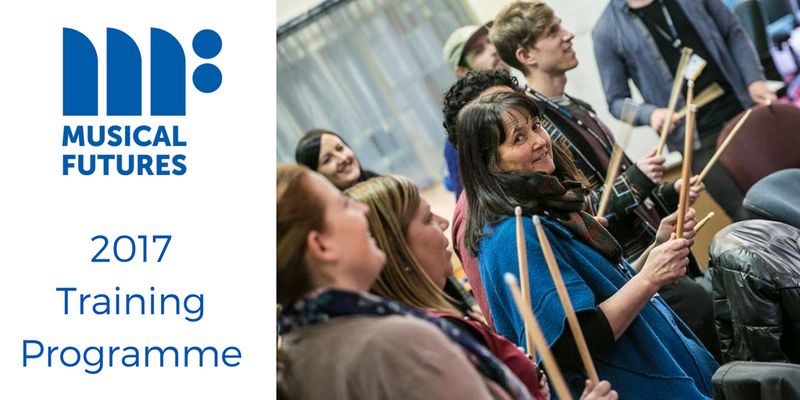 If you are interested in taking part please email info@musicalfutures.org with details of your school and a short summary of the year group/class you would like to use for the pilot work. The closing date for expressions of interest will be Friday 13th January 2017 with in school work taking place from February 1st-April 28th and schemes of work to be shared by June 1st 2017. Please note that we will be selecting schools based on gathering as wide a variety of outcomes as possible.